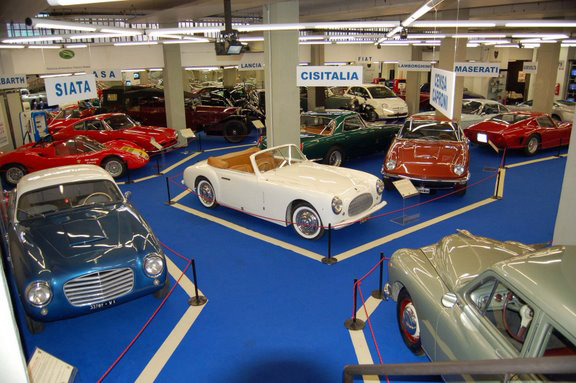 The “Luigi Bonfanti” Automobile Museum is under the control of a Foundation and is honored to count among the patrons all the involved Public Entities and as Founding Members all the major local enterprises. The Museum is recognized by F.I.A. (Fédération Internationale de l’Automobile), by ANFIA (Associazione Nazionale Fra le Industrie Automoblistiche, the association of Italian car manufacturers), by ASI (Automotoclub Storico Italiano, the Italian federation of car collectors’ clubs), by AAVS (Associazione Amatori Veicoli Storici, a typically Italian fruitless effort to challenge ASI’s monopoly), by AISA ( Associazione Italiana per la Storia dell’Automobile, Italian association of automotive history), by Società Italiana per la protezione dei Beni Culturali, the Italian association for the protection of cultural goods and by Regione Veneto, the local administrative authority. This structure, that moved its first steps in 1991, is now a well consolidated reality, with cultural, social, tourist and economical value for the entire region. It is the only Museum in Europe to employ an exhibition formula unique and most original, an endless series of monothematic exhibits with highest cultural content and a most effective museum didacticts. 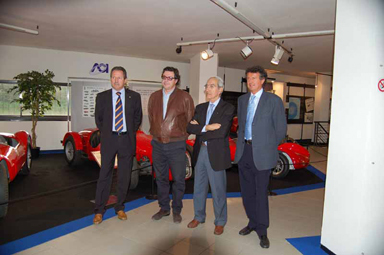 In the Museum lessons to the students of Padua University School of Mechanical Engineering are being given, as well as others to specialize car restorers (mechanics and coachwork specialists). 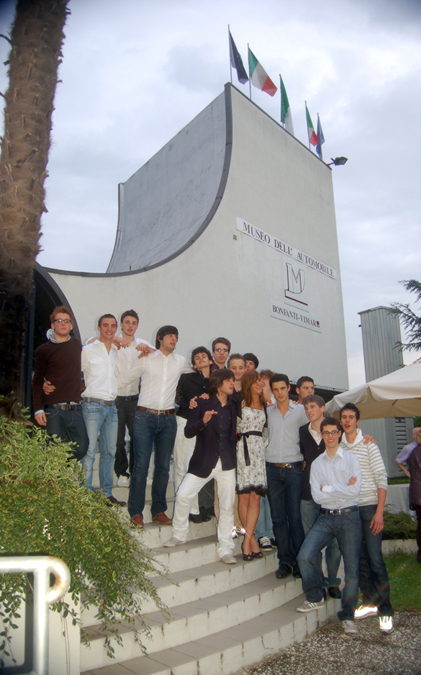 These classes are organized in cooperation with the European Union and the Regione Veneto. The Museum promoted also conventions and round tables, together with the Padua University. Most satisfactory interests are being shown by schools, with many classes visiting, guided by Museum personnel who can tell the students the remarkable aspects – technical, social and historical – of the running exhibition. Also most important is the Documentation Center, inside which a Veneto archive has been created, with over 450 issues related to the motoring history, since the very beginning, of the Tre Venezie, the local area. Without the Center most of the issues would have been lost. All these initiatives made the cooperation with the public authorities stronger and all the future ones will be undertaken together with the competent Administrations and the interested sectors of the European Union. 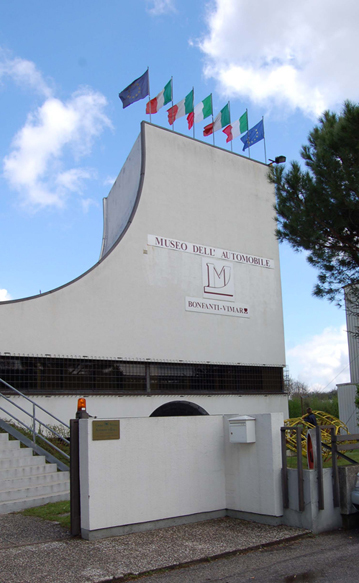 Internationally, the “Bonfanti” Museum won the trophy as best European motoring museum in 1999, 2000 and 2001. “This Museum is asserting its authority as one of the most dynamic in Europe ….” (Collezionare, October/November 1994). “We must say that one more time the Bassano Museum did it right ….” (Auto d’Epoca, January 1997). “Since October the most beautiful and interesting Formula 1 exhibition is on at the ‘Bonfanti’ Museum” (GO Japan, October 1997). “The ‘Bonfanti’ Museum of Bassano (in Veneto) might be the best automobile museum in Italy” (The Sunday Times, Januaru 1998). “Clay Regazzoni has no doubts and describes with emphatic flattering tones one of the best museums in our country” (Il Gazzettino, February 1998). “The ‘Luigi Bonfanti’ Automobile Museum, with the special exhibitions of special themes, is definitely worth a visit (Austro Classic, June 2002). “The exhibitions which were organized there have all been of the greatest importance, of high cultural and pedagogic interest” (La Vie de l’Auto).